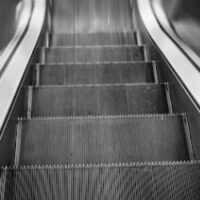 Escalator Injuries: Do You Have a Legal Claim? Every year, thousands of people are injured on escalators. They suffer injuries large and small, but some are left unable to work for months as they try to recover. At Bundza & Rodriguez, our personal injury attorneys represent clients who are injured on business premises. If you have suffered an injury on an escalator, you might be entitled to compensation in a lawsuit. Sometimes, people contribute to their own injuries, especially children who are curious and stick their hand in tight spaces. However, many people are completely without fault in these accidents, and responsibility for the accident lies entirely with someone else. But there is one horrific type of injury associated with escalators, called “de-gloving.” When a person’s foot, leg, or hand gets caught in between the step and the side of the escalator, then the friction can actually peel off the skin. This injury is as gruesome as it sounds, and recovery is often very difficult. Many victims of degloving suffer from permanent disfigurement and scarring. Generally, there are two entities to blame when an escalator accident occurs. The first is the business which has control of the escalator. This might be the landlord of a mall or a tenant if the tenant is responsible for maintenance. When maintenance has been faulty or there have been unaddressed safety lapses, then the business is often legally responsible for any accidents. In other situations, the escalator itself might be defective when it left the manufacturer’s or retailer’s possession. In that situation, the manufacturer is often responsible for the injuries because they sold a defective product. Each case is different, and injured victims are not required to perform a detailed investigation on their own. Instead, reach out for legal help by contacting an experienced Volusia County personal injury lawyer. As a leading personal injury law firm, we have been serving Volusia County for years. If you suffered an escalator accident, realize that help is available. At Bundza & Rodriguez, we can analyze the surrounding circumstances of the accident and identify who is at fault for your injuries. As part of our practice, we have obtained millions of dollars for our injured clients for losses such as medical bills, lost income, and pain and suffering. Call 386-252-5170 for more information.